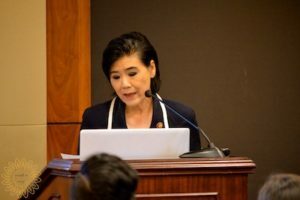 WASHINGTON DC – On March 6, 2019, the second annual Congressional Integrative Health and Wellness Caucus, co-led by Rep. Judy Chu (D-CA), and Rep. Jackie Walorski (R-IN), was held for an audience of 50 Democratic and Republican House offices, representing 24 states, and eight Senate offices, including the Democratic Leader, Democratic Whip, Assistant Democratic Leader, Senate HELP Committee, and Senate Committee on Homeland Security and Government Affairs. 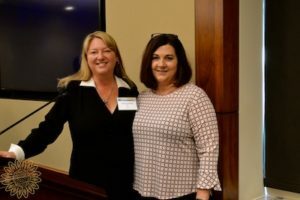 “The Congressional Briefing and interdisciplinary therapy demonstration were extremely successful with representation form 58 legislative offices from both sides of the aisle. The briefing provided important information regarding effective, non-opioid, integrative approaches to the treatment of pain which will hopefully impact future policy,” said Len Wisneski, IHPC Board of Director’s Chair. Above all, this year’s caucus itinerary gave participants a true reflection of the heart and soul of integrative medicine. That humanistic touch started with the opening chairs remarks. 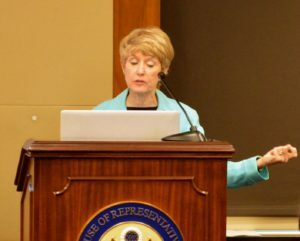 “The two Co-chairs of the Congressional Caucus broke away from their critical Ways and Means Committee meetings to open the briefing, sharing touching personal stories about why they are committed to advancing non-pharmacological approaches to pain and doing so now,” said Margaret Chesney, PhD, IHPC’s Special Advisor, Professor of Medicine School of Medicine, University of California, San Francisco. 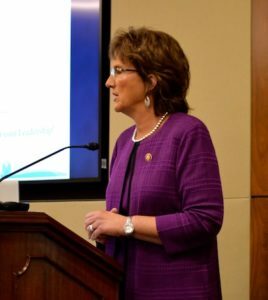 In her remarks, Rep. Walorski shared the following, “I have heard from physicians and providers in my district who are eager to see the nonopioid methods of treating become more integral in patient’s conversations.” She closed by reiterating the horrific story of a death in South Bend, Indiana of a dear friend, Dr. Todd Graham, a local physician who believed in finding creative and alternative ways to address pain. A little more than a year ago, he was shot in his practice driveway from an opioid addict after trying to falsify records to get opioids. Graham’s refusal led to his death. Rep. Walorki said this tragedy is the motivation behind her work to expand the scope of integrative care for chronic pain. In her opening statement, Rep. Chu held nothing back as she praised the skills of experts in the room and how their respective professions can make a significant difference in the opioid crisis. “The opioid epidemic is taking over lives in every state every day. Right now, deaths from overdoses exceeds those of all other deaths for people under 50,” said Rep. Judy Chu in her opening statement. “The good news is that studies conducted by NIH have concluded that alternative treatments can be effective in treating conditions like chronic pain.” Rep. Chu shared how she has been a long-time advocate of acupuncture. 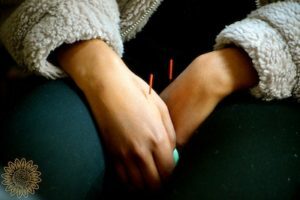 In 2001, when she was elected to the state legislature, Chu worked to get approval for acupuncture to be included in the workman’s compensation system. “I understand well, how important these alternative therapies are. But here in Congress, our biggest challenge is convincing our fellow members that not only do these integrative therapies work, but they should be available to all patients no matter how they get their health coverage,” she said. The caucus made great headway this year to get that message across. There were multiple opportunities for legislators and staff to learn about integrative medicine. Integrative health experts from academic, government, and association settings held an educational briefing, a lunch featuring anti-inflammatory foods, as well as demonstrations on complementary therapies whereby attendees experienced the benefits of integrative medicine for pain and stress management. Jill Sheppard Davenport, MS, MPP, CNS, NBC-HWC, LDN, LN, on nutrition’s role in pain management. The integrative therapy room was remarkably successful thanks to teams of therapists and practitioners in acupuncture, chiropractic, massage therapy, and naturopathy, as well as certified reflexologists and craniosacral practitioners. “In a matter of minutes, a meeting room in the Rayburn Building was transformed into a healing environment, said Chesney. “This is a first. We’ve never had so many therapies and disciplines in one room on Capitol Hill. Ninety offices took time out of their day to stop in for 20 minutes for a therapy session. Many came back twice,” said Guimond. At the end of a very productive day, all agreed that the caucus was a great success. “Many asked if we could do this once a month,” said Guimond. “Monthly is ambitious, but it showed that if we are to move the needle forward on interdisciplinary care, examples of integrative medicine need to be hands-on.” The experts, patients and practitioners set a shining example of the potential for integrative care. Now that message needs to translate to legislative change. In the coming months, IHPC will post each of the speaker’s videos so that you hear from the speakers and can gain a better understanding of this very important day for integrative care. Rep. Judy Chu, D-CA., and Rep. Jackie Walorski , R-IN led the Congressional Integrative Health & Wellness Caucus in the 116th Congress. 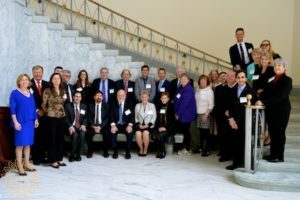 The Caucus serves as a non-partisan educational forum for legislators to receive up-to-date information from experts related to best practices and new research, and to discuss legislative and administrative opportunities for integrative health. 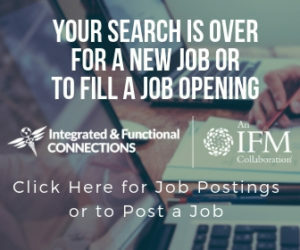 ABOUT IHPC /The Integrative Health Policy Consortium is the national policy and advocacy voice of integrative health and wellness healthcare professional organizations, representing the voice of more than 600,000 healthcare providers. IHPC functions as a critical watchdog and monitor of federal agencies charged with overseeing America’s health and health research needs, working towards eliminating barriers to health. IHPC Chair Dr. Len Wisneski is a Clinical Professor of Medicine at George Washington University Medical Center, Adjunct Faculty at Georgetown University, and is on faculty at The University of Colorado. 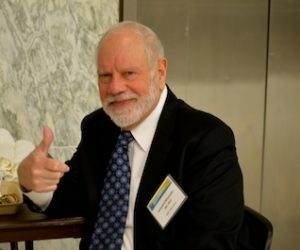 He has published over 30 scientific articles and a landmark textbook, “The Scientific Basis of Integrative Health.” Website: http://www.ihpc.org.